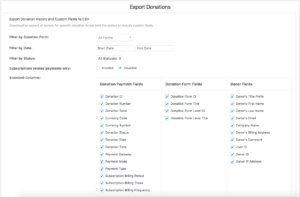 The Export Donations feature allows you to download all of the information associated with your donations into a CSV file. This file can then be uploaded into your favorite spreadsheet or data presentation program. 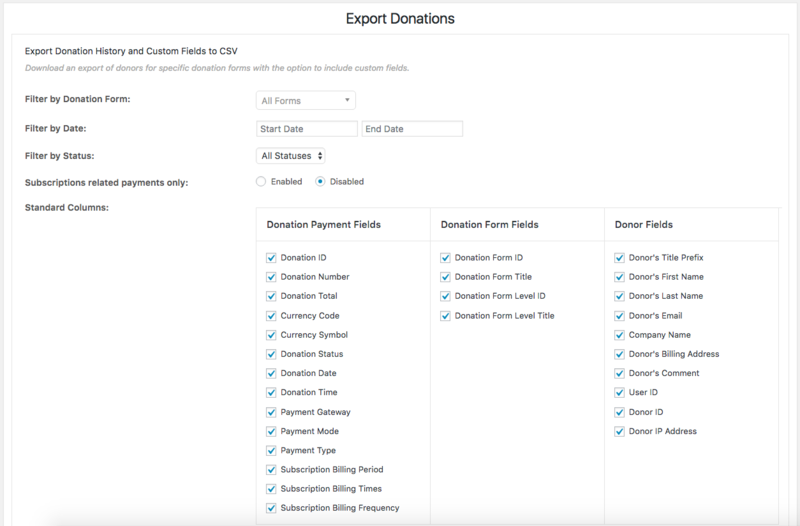 Filter by Donation Form: Here you can sort by specific form or leave “All Forms” selected to generate a CSV for all forms. If you wish to see custom fields a specific form will need to be selected. Filter by Date: Select a date range for the export. Filter by Status: Filter the donations by payment status. Standard Columns: Here is where you can fine-tune the output of your CSV. Make the selections that best fit your needs. 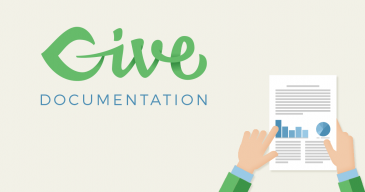 Note: With the addition of Donor Comments to the form front-end, there is now the option to export that information to the CSV file. If you have custom fields for a particular form you will see them at the bottom when that form is selected. There will be three different sections regarding Custom Fields. Form Field Manager Fields — for fields added by our Form Field Manager Add-on. Hidden Custom Field Columns — For any hidden fields that are used on your forms. 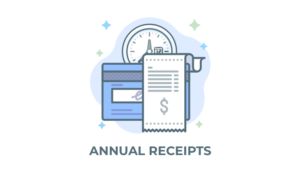 Note: Custom fields are only added on a per-form basis to ensure the Custom Fields section does not become too cluttered. Once you’ve chosen all your options, click “Generate CSV” and you’ll see the progress bar run and your CSV file will download automatically.